Dot 23 Technologies, a non-practicing entity located in Texas, is looking to take Apple to trial for implementing Siri into the iPhone platform, alleging the virtual assistant's voice dialing and geolocation capabilities infringe upon three patents. 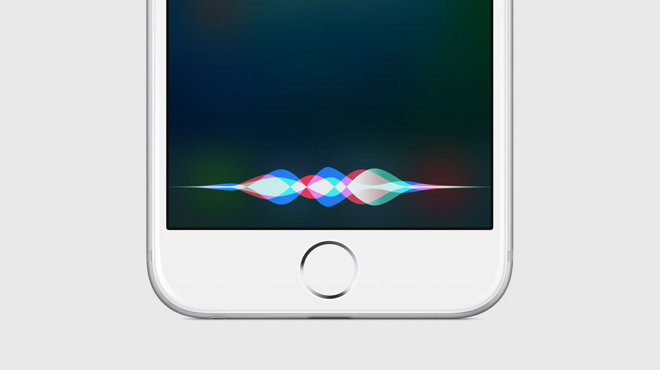 In a complaint filed with the patent holder-friendly Eastern District Court of Texas on Wednesday, Dot 23 asserts Apple infringed on three patents covering various smartphone voice recognition features with Siri, a technology in use since the iPhone 4S launched in 2011. Specifically, the lawsuit holds Apple in infringement of U.S. Patent Nos. 6,917,802, 7,245,903 and 6,405,029, granted between 2002 and 2007 to a single inventor, Byard G. Nilsson. All three patents were assigned to Mobile Telephone Technology, an LLC connected to Nilsson, before being transferred to Dot 23 last September. The '802 and '029 patents both describe a basic voice dial function executed by an intermediary program capable of recognizing and processing spoken alphanumeric characters. Currently, iPhone users can ask Siri to dial outgoing numbers digit-by-digit, for example, "Call 216-555-1234." In particular, the '029 property details a system that supports low-level user interaction, or cues generated by an automated service. Siri's ability to process natural language and react in accordance to programmed interactions is much more advanced than Dot 23's patented tech, though Apple's virtual assistant does technically cue users to dial phone numbers vocally. Dot 23's '903 patent is slightly different in that it covers an information service suitable for serving up "geographic-related" data on demand. The IP describes a system by which users can query an automated service to discover points of interest in specific areas, for example a "Chinese restaurant in Northern California." Geolocation hardware is not mentioned, as the patent instead relies on cell tower data. Applied to Apple's modern implementation, Siri is able to survey a user's location via GPS and related means, query an Internet-based POI database, pull up directions in Maps and guide users to their chosen destination. The complaint does not proffer evidence claiming Apple had prior knowledge of the patents-in-suit, noting that the filing itself serves as notification of infringement. Aside from Siri, the suit names Apple's iPhone 4, iPhone 5 and iPhone 6 models as products enabling infringement. Dot 23 is seeking damages with interest and fees. The case has not yet been assigned a judge.